It took us 15, 20 minutes to queue before we got a seat at Paul on a Sunday late afternoon. Our choice of caffeine that day were café au lait and mocha. It was the first time I tried café au lait, so I can’t make a good judgement. All I can say is that it tasted like coffee flavoured milk. The mocha, on the other hand, had a rich dark chocolate taste. I was really excited when I ordered the crépe mixte but it didn’t turn out the way I expected it to be. The crépe had the right texture – soft and thin – but it didn’t blend well with the ham and cheese. It barely filled me up and there wasn’t any dressing on the side salad.. 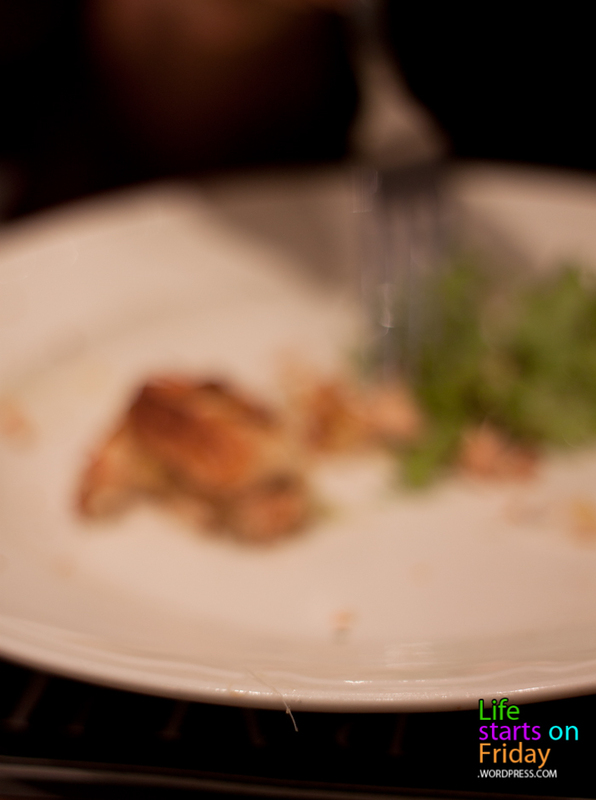 The saumon croque-monsieur was cold when it was served. Nothing special about this dish too other than the few fish bones we found. The portions are small and the salad was plain. Not to mention, the staff at Paul definitely need more training. It was a feat to get their attention and the waitress did not get back to us when we tried to order the tartelette citron. She said she would check if it was available but she didn’t get back to us after 15 minutes. This entry was posted in Food and tagged breakfast, brunch, food, photography, singapore, weekend by lifestartsonfriday. Bookmark the permalink.